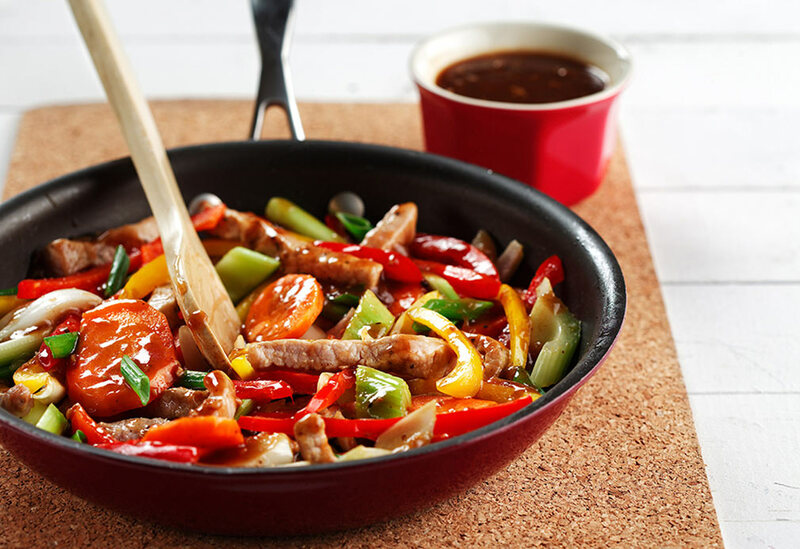 What a medley of cultures stir-frying from the Chinese, pasta from the Italians, and pork which is the most widely consumed meat in the world. 1. 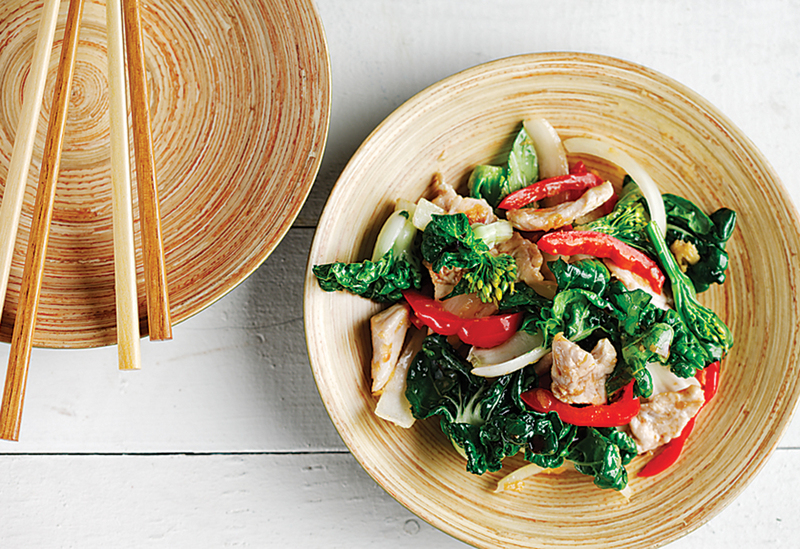 In a small bowl combine pork strips, cornstarch and soy sauce. Toss together to coat pork. Cover and refrigerate for 25 minutes. 2. In a skillet heat canola oil. Add pork strips, garlic and red pepper flakes. Stir-fry about 4-5 minutes. Add celery and red pepper; stir-fry 2 minutes. 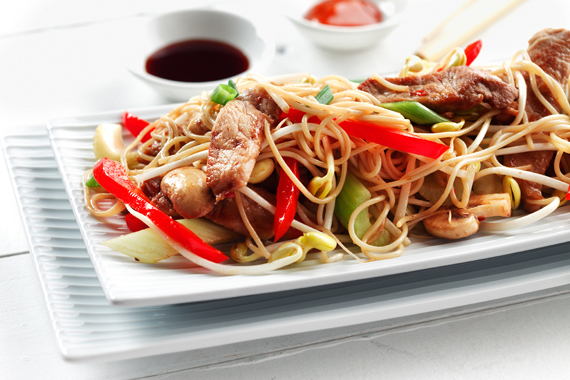 Add mushrooms and bean sprouts; stir-fry 2 minutes. Add vermicelli, green onions and soy sauce. Toss together and heat through. Transfer to serving plates. 3. Garnish with additional sliced green onions if desired. A treat for fowl lovers who want to enjoy turkey at times other than Easter, Thanksgiving and Christmas. 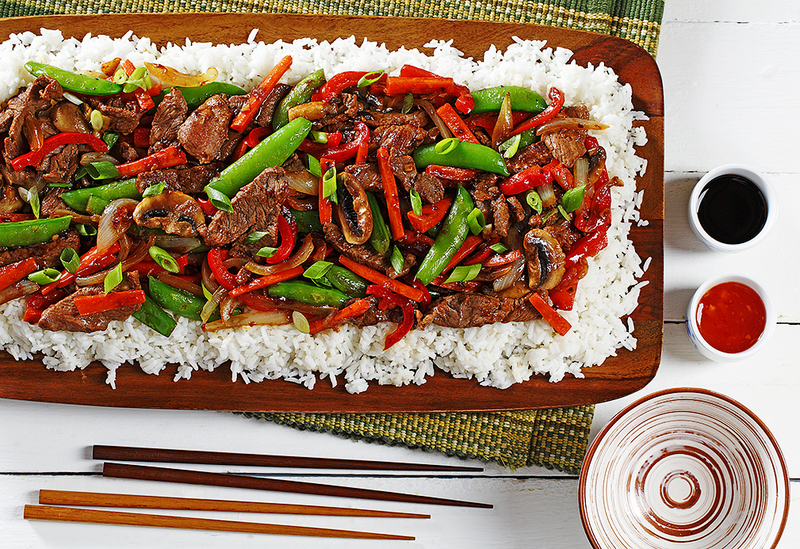 Flavored with garlic, ginger and black bean sauce, this Chinese dish has extra flavor.